On April 20,1999, Eric Harris and Dylan Klebold staged a homicidal assault on the students and teachers of Columbine High School in Littleton,CO. Using pipe- and propane canister bombs as well as illegally obtained firearms, the boys boys killed 12 students, 1 teacher and, wounded 21 others. The events of that day, born of psychopathic rage (Harris) and depressive psychopathy (Klebold,) were widely reported throughout the country, albeit incorrectly. Most of what you think you know about Columbine is probably wrong and Columbine is an utterly compelling and stunning exposition of the mechanics of the assault, as well as an exposé of the bureaucratic and media missteps, the impact on the community and, an exploration of the psychological profiles of Harris and Klebold. Interestingly, among Kindle readers who highlighted the text of Columbine, most of the passages highlighted were about psychopathy. Columbine is the definitive text on the tragedy of that day and the seminal text on the Why of it. The narrator, Don Leslie, is definitely a voice-over guy and appropriate for the material he reads. His “radio voice announcer” voice underscored the journalistic tenor of the book, though there were a couple places where dropping into parenthetical voice for block quotes would have been appreciated. Nonetheless, this is a thoroughly engaging listen, stunning and impactful in its delivery. In the past year I’ve recommended this book to a number of people and groups, and one of the unexpected responses I get is that some do not want to read this book out of respect for the people of Littleton; that it’s best to move on and try and forget “Columbine.” I am always startled by this reaction because I don’t think we actually remember correctly what did happen; and without this examination and application of critical thinking, we don’t gain the understanding that we need to develop preventative measures against future incidents. What do you think? Should we bury the past? Or should we try to gain insight? If you’ve read or listened to this book, do you think it helps? Or is it too specific to apply to the general understanding of school attacks and/or what you can do in your own communities? Other Stuff: I borrowed a library CD copy of this book from Blackstone Audio, Inc. I selected this title for the Where are You Reading? Challenge sponsored by Sheila at her blog, Book Journey. 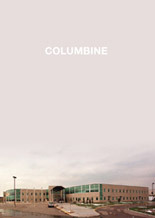 The setting of Columbine is Littleton, CO.